On behalf of our school community I would like to extend to you a very warm welcome to Iver Village Junior School which caters for pupils from seven to eleven. It is our ambition at IVJS to provide a warm and welcoming environment where children will settle quickly and happily. We aim to provide quality education through a caring partnership with yourselves. We hope the children will develop pride in themselves and in the school. We believe the ethos of our school should be built on the core values of; effort, consideration, perseverance, honesty, commitment and respect. In order to be effective, education should be a partnership between home, school and the wider community. This, we aim to achieve by the way we work as a school. I look forward to developing a meaningful relationship with you and your child. We are committed to ensuring that every child fulfils their potential and develops a love of learning during their time at IVJS. We have high expectations of what we can achieve and believe that a strong partnership is vital. 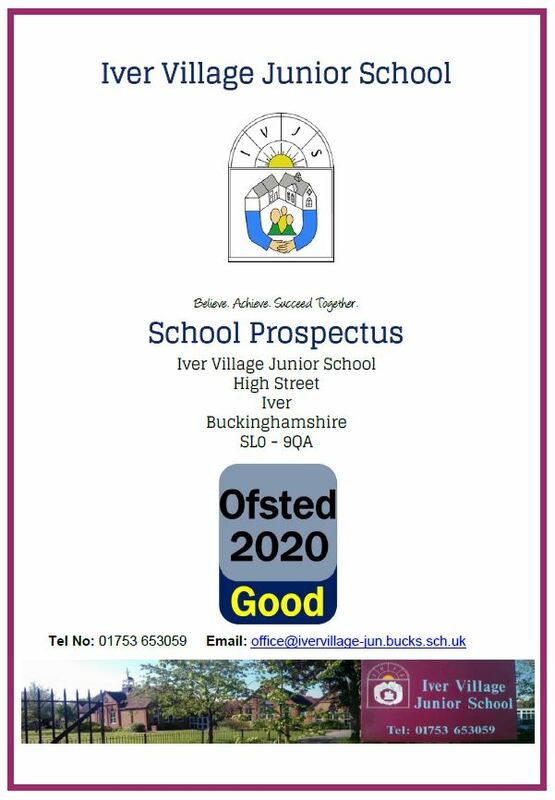 Please click the thumbnail above to read the full School Prospectus.